(HealthDay)—After nearly a decade of decline, the preterm birth rate in the United States has risen for the second year in a row, the March of Dimes reports. The premature birth rate rose from 9.63 percent in 2015 to 9.8 percent in 2016, and the number of preterm births increased by 8,000, according to the group's new report. The premature birth rate was 9.57 percent in 2014, according to the March of Dimes. "The U.S. preterm birth rate is among the worst of highly developed nations," said Stacey Stewart, president of the March of Dimes. "This report card is a public wake-up call, an urgent call to action on the health of our nation's moms and babies." Compared to white women, black women are 49 percent more likely to deliver preterm. For American Indian/Alaska Native women, the number is 18 percent. "Moms and babies face a higher risk of preterm birth based on race and zip code," Stewart said in a March of Dimes news release. 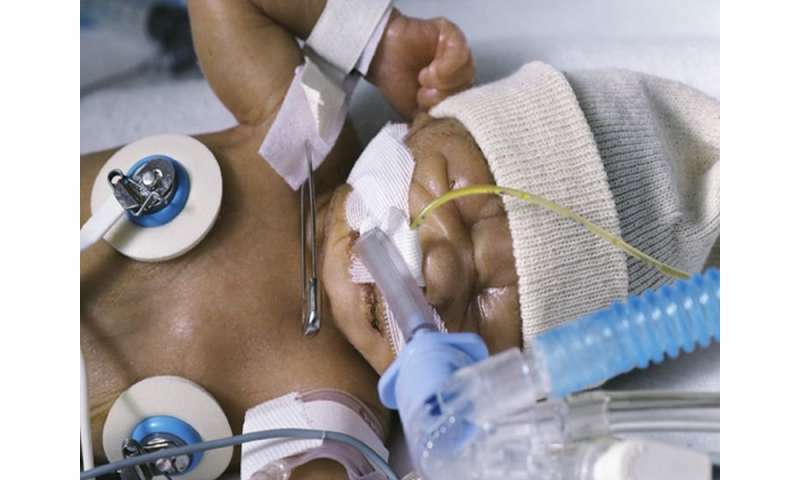 A baby born before 37 weeks of pregnancy is considered premature. A full-term birth is around 40 weeks. Each year, more than 380,000 babies are born preterm in the United States, putting them at increased risk of death before their first birthday, lifelong disabilities and chronic health conditions. Preterm birth is the leading cause of infant death in the United States, the organization says. And preterm birth is associated with more than $26 billion annually in avoidable medical and societal costs, according to the National Academy of Medicine. "We must address the social and environmental factors that impact health," said Dr. Paul Jarris, chief medical officer of the March of Dimes. "Only by improving the broader social context for health will we be able to level the playing field for mothers and babies in every community." More information: The U.S. National Institute of Child Health and Human Development has more on preterm labor and birth.